Aright… bring it in, listen up. Let’s say you stayed out too late the night before the game. B. Remain eligible to participate in your sport. Let’s say you skipped practice, you said something ugly to your coach, you reacted poorly to someone.. you bullied someone, your being bullied, you got in a fight, you don’t want to fight but don’t know a way around it? This is a short list of things we experience or have heard about, or we have seen others experience. We face our mistakes often. We face other’s mistakes often. We face circumstances we cannot control. We face the seemingly impossible. ALL of these things happen outside our sport… Yet, these things greatly effect our performance in our sport. Who do you talk to about these things? But.. if we are facing the one that we fear disappointing the most… we often avoid them at all cost for that very fear… disappointing them. Yet, we still have the issue floating around in our head’s or heart’s or both! Who do you talk too? Find a teacher, a friend, a parent, a pastor, a librarian, a fireman, officer, military member… Find a Coach. Do not let things stir in your heart and mind too long without TALKING about it. If you don’t feel you can approach your parent(s), coach(s)… at least let them know you want to talk to someone about ‘something’, be honest and let them know that it might not make sense them… but, you fear talking to them about it. Ask them to try to understand. Maybe ask; “Can you help me find someone that I can talk too”? They will most likely push for a topic. PARENTS… please try to understand what is at stake if your child/athlete comes to you with this request. Give them permission to freely ask you to ask someone for help… help them find someone you think might be able to listen to them without the judgement they probable fear the most… yours. 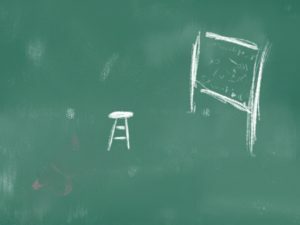 Here at The Chalk Talk Blog we talk.. and we use chalk to start the conversation. Sometimes we see very young children do the same with crayon’s. They try to communicate thing’s they might not understand, or they are afraid to say, or don’t know how to say? Here we start with the situation at hand… the here and now. We live in realville. We identify and talk about what is, was, why and what might be. We take a time out and create a game plan and then we practice it and then we implement it. All the while choosing right attitude and staying as positive as we can. Faith, Hope and Love. We cling to these. All right… Bring it in and listen up. Take a break, relax… In fact let’s say for the sake of this blog post… your practice is over and I want to give you some things to do at home that might give you some perspective on why we do what we do! How about a Chalk Talk on watching TV? 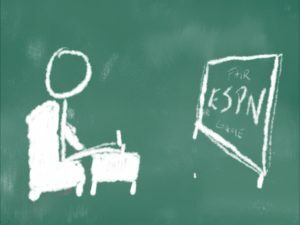 I would imagine most that read The Chalk Talk Blog Post have spent at least a fair amount of time watching ESPN. Even if you we have not been intently watching the channel, we most likely have it on… even while doing other things in our homes. When you find yourself sitting in a room with ESPN on… or you are channel surfing, choose ESPN and spend some time watching whatever program is on at the moment. What I would like for you to do is pay attention to the content of what you are watching. (2) How much of what is being shown is more commentator oriented? Are you watching those (TV personalities) giving their thoughts and opinions about; players and teams? How much of what you see and hear is devoted to the performance of the players on the field and how much of what you see and hear is devoted to the LIFE off the field? Pay attention to notice how much of LIFE off the field or court is covered and discussed. Notice entire series (30 for 30) that are dedicated to the athlete’s LIFE off the field or court. Notice the discussion of behaviors, money, and lifestyles. We all had coaches that coached us on the field and court. With this in mind… Of all the athletes you saw on TV… how many of them do you think had a Coach giving equal coaching time to LIFE as they gave to their sport? ESPN originally stood for ; Entertainment and Sports Programming Network. Sports competition/Live Games are entertaining with little help form commentary. So… the content for commentary on the entertainment side usually comes from outside of the game(s) itself. The individual athletes LIFE often becomes Fair Game for ESPN. Parents share with your kids, coaches share with the parents of players , players share with your coaches and parents. You are a player on a team. You like this Coach. You respect this Coach. You believe in what this Coach is teaching you, directing you to do… where to be and what to do in specific situations and circumstances that are ever rapidly changing. You trust this Coach to provide you with a path… a path that you will willingly follow. This is the time to Follow a Path. Your Coach let’s you and your teammates know that you are about to do a drill that everyone hates. You know the drill… you all know what the coach calls it, and you also know what you and your teammates have nicknamed it. The dread hangs over the gym, the field, the practice as everyone feels the weight of what they know is to come. Everyone anticipates the inevitable horrible next seconds, minutes or longer. You and your teammates are hoping for intervention, a miracle… maybe… just maybe your Coach will change their mind? Then the time comes. It’s real, and it’s going to happen. No one wants to do this. And no one seems to want to go first. No one jumps anxiously to be first to start the dreaded drill that is to you all.. nothing short of torture. It may be in the heat of day and it usually takes place after everyone has already given their ALL. Everyone is spent. Everyone has nothing left. Why even do this drill? Why now? This is the time to Make a Path. Why not be the first to challenge and conquer every doubt, dread, and self loathing feeling you have! “I’ll go”! “I’ll do it”! “Follow Me”! “I will gut this out and I will show my coach, my teammates and Myself… It can be done, It will be done, and with a great attitude, and then followed up by encouraging all other’s behind me”. Okay… bring it in. Let’s talk about real life stuff here for a second. Let’s try to keep in mind that what we Coach… our players apply at home, at school… and of-course, LIFE. Something that we all try to encourage everyone to have is; empathy. Basically we want everyone to understand and be aware of someone else’s situation and circumstances, or maybe more directly put; we don’t want to think of only ourselves. Now that we have a very clear understanding of empathy… we can all say having empathy is a good thing, right? 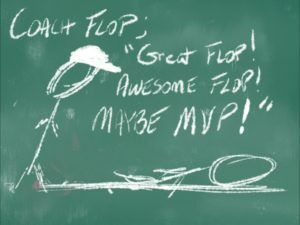 If you are not aware of what flopping is… it is the action of deliberately falling or stumbling in order to give the appearance of having been fouled by an opponent. It’s basically a player over… way-way over exaggerating a foul, or a fake foul, appearing to have been injured, or worse! I have the utmost respect for all athletes. Even the folks I see walking daily that are just trying to lose 2 pounds, or 1oo pounds! I love to see people exercise, move, work out and participate in ALL sports! I have empathy for those that might find it hard/difficult, but yet they are out there doing it! Bravo! I have never played Soccer as an organized sport. I always loved playing it in the back yard or playground. I have been around enough athletes to recognize the dedication, skill, talent and fitness level required for this great game. Still, there are many that only know soccer by flopping.. and many don’t seem to understand or have empathy for the players that seem to be dying rolling around on the field… when they seem to have been barely touched? Soccer is not alone in the world of flopping… flopping exist in all of sports, and it seems to be gaining in NBA Basketball… Yes or No? So, are youth being coached to ‘fake’ or ‘lie’? All of this being said; I am only aware of one sport that has a rule against flopping and a penalty for diving or embellishment. penalized with a minor penalty under this rule. We see real injuries in Hockey where the player doesn’t roll around, or flop on the ice for several spins, or flop’s… most of the time they keep skating? And, I for one… have a great deal of empathy for them. As a coach, this rule helps teach player’s that faking an injury will not be tolerated, and is not a behavior to be desired. This rule helps explain the difference between NHL Hockey and The WWE. It helps explain the difference in needing a band aid or an ambulance. The model of adult athletes faking anything cannot be something we encourage our youth to apply in their sport… and certainly not in their relationships at home, their job’s, marriage’s… and LIFE. I still remember mom’s “Rule No. 64.1″. She told me the story about The Boy Who Cried Wolf. Worked or me. You give your child A New Gift! A beautifully carefully wrapped present you know will bring great joy to your child! The paper often ripped off the gift and the box/packaging torn open fast and furious! Right? Nothing brings you greater joy than showering your child with this gift. But, how often it is that the gift is damaged or ruined before it sees it’s purpose fulfilled… which is to bring your child joy! (A) Read the instructions first? (B) You hope the gift came with instructions? Stop and think about this. Think about your past and maybe even more so… think about right now. You see, you have been given gifts your entire life. You may at first think of the gifts or presents you’ve received; Christmas, Birthday, or anniversary. But, what about the gift’s you have received in the grand scheme of things? 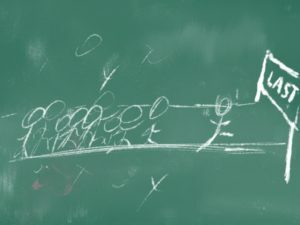 Here is the Chalk Talk question; Where do you get your instructions? When you realize you have been given a gift… where do you turn for instruction on how, when, why and where to use it (them)? Do you rip through your gift(s)… bending, breaking, tearing and ruining it before you get instruction? 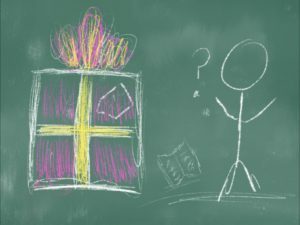 Or, are you more patient with the opening your gift, recognizing it, and you even look for instruction, yet… you don’t see any that came with it? Or, maybe even more frustrating… there is a piece missing? There is a manual. A collection of books for every situation and circumstance you will encounter! The first book I would recommend for more specific instructions would be The Book of Proverbs. The book is Chalked full of wisdom for most any situation you will ever encounter! A Father would never give a specific beautiful and carefully wrapped gift to His children without instruction… Still, it is up to us as to whether or not we take the time to read them so they bring us the Joy intended. 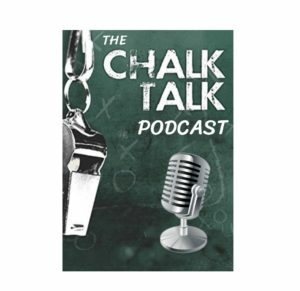 Please subscribe to The Chalk Talk Blog which is always available here online. 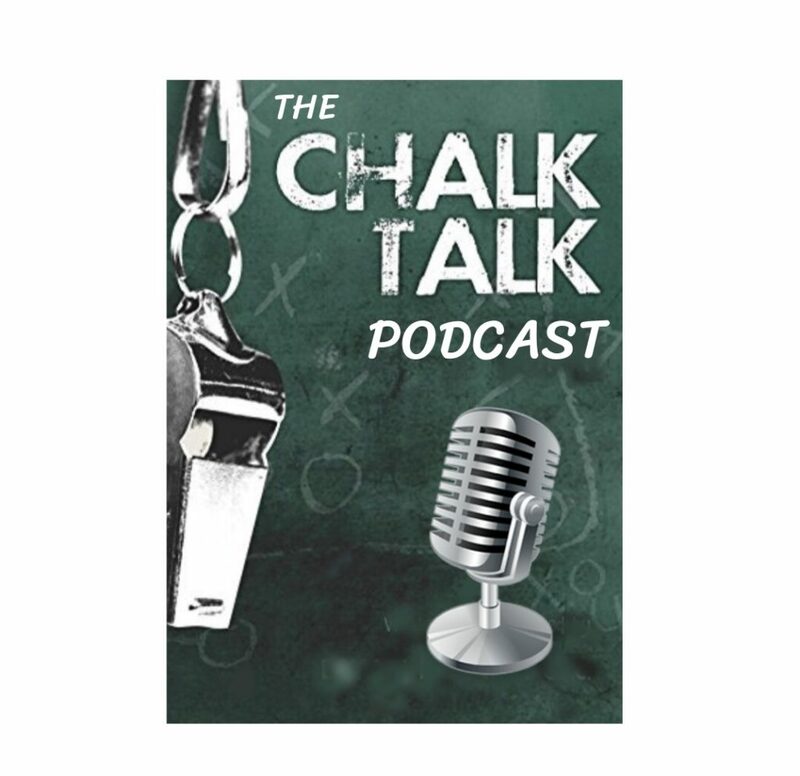 And, please subscribe to the The Chalk Talk Podcast on iTunes, Stitcher Radio and Google Play Music. You Tube Channel coming soon! First, we should recognize that we must understand it’s not a good idea to put ourselves… first. A very strange concept… especially for an athlete… right? These verses have nothing to do with where you might finish in a race, or winning or losing in any type of athletic competition. Maybe you are reading these words for the first time? Or maybe you remember hearing someone read them or say them to you? Did you totally reject the concept and quickly label this concept as ridiculous and totally unfair! Why would you not want to be First in everything? Why would you not want to be first in a race, a board game, a football, basketball, soccer, or baseball game? Who would anyone think ‘last’ would be a desired goal? Who in the world would want to finish last? 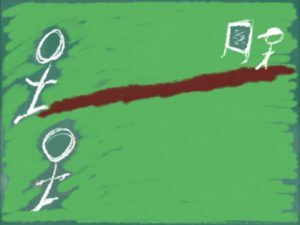 Believe it or not… First vs. Last has nothing to do with this Chalk Talk blog post. So, why the title; “First, Me First”. Well.. to explain that I must bre/ak a BIG RULE of mine right off the bat here in the first Blog Post. For this first blog post… It is important for you to know that everything shared here… I must apply to ME First! After all WE are in this together. So, I or Me…. must first act on these thoughts I share here in these blog’s. I must walk alongside what I am led to write here and keep pace in putting them into practice in my daily walk. I must think on these words and how they will certainly apply in my world, my life. I must live them first. We should all be challenging each other constantly and forever we should hold one another accountable. We should always strive for wisdom, putting wisdom into motion and trusting it to lead us to doing the next right thing. And, when we hit that mark… when we ring that bell and we win the round… We should rejoice with great joy and encourage one another to continue training in wisdom! And when we fall… we should get back up… help each other up! We should be very careful not to judge one another. We should be accountable brave enough to take our lumps, and get back to training and learning, trying to get it right. You know, maybe get a little “Chalk Talk”! No matter what, Don’t forget that… Fearful and Wonderful. Even when we fall. Suit Up and Scoot Up! Chalk Talk’s are Back! It’s time for a Chalk Talk. Some of you may be return visitors? 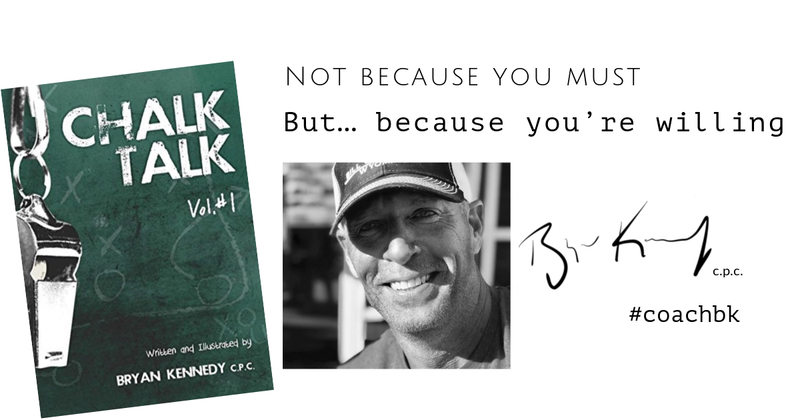 You may or may not remember the last series of blog’s I posted that inspired my book “Chalk Talk” Vol.1? 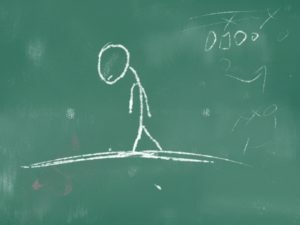 Regardless of which category you fall into, I am glad you have found your way here to this right now moment… to this brand new series of Chalk Talk’s . I do not expect everyone to be familiar with my life: performing, music, plays and books, or what I have been doing for the past three plus years that that had me traveling across North America with my big wonderful road family, watching history being made and meeting the most incredible people! I always feel blessed to share this amazing wonderful life that continues daily to sit me in the front seat of a ride that I would have never dreamed possible. And… although this ride has not ever been exempt from a back trail complete with both victories and defeats, it has left me in awe of the most amazing experiences in the world’s of Athletics, Music and Entertainment. All of this leading me to look back asking why me? A huge part of this answer is understanding the great value and need of a mentor, an advocate, or maybe more commonly put… a Coach. A coach with years of experience producing what the Bible says is to be sought as a great treasure; wisdom. Wisdom allowing a coach the ability to observe and understand each of player… using experience to prepare, guide, direct, identify, motivate, teach, push, heal, listen, encourage and even demand each player they coach to become and to be their very best in any game type situation, especially LIFE! I have benefited my entire life from the wisdom of my coaches… I still do and always will. I thank God for each of them. I can always count on my mentor’s and Coaches to take a time out… call me over for a Chalk Talk. A life pause… taking a much needed moment to just slow things down, to just take a breath. Other times… to give me a much needed swift kick in the rear. No matter which… they are always setting a course, identifying a clear direction getting me back in the game. So, Suit Up and Scoot Up! Get ready to think, practice and move… so you can be your best!